Shayla Who? 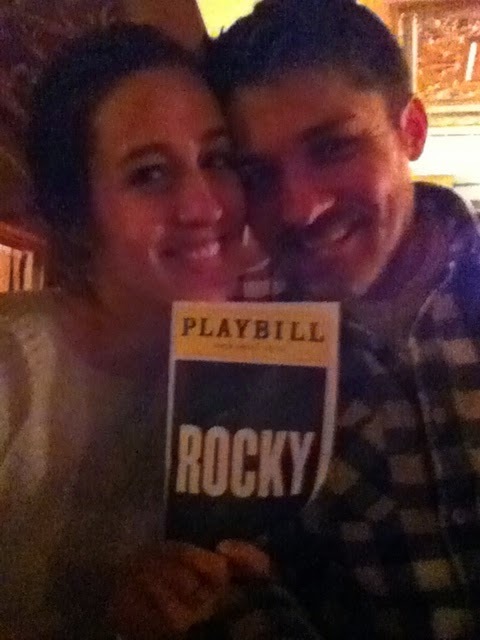 : "rocky" on broadway. 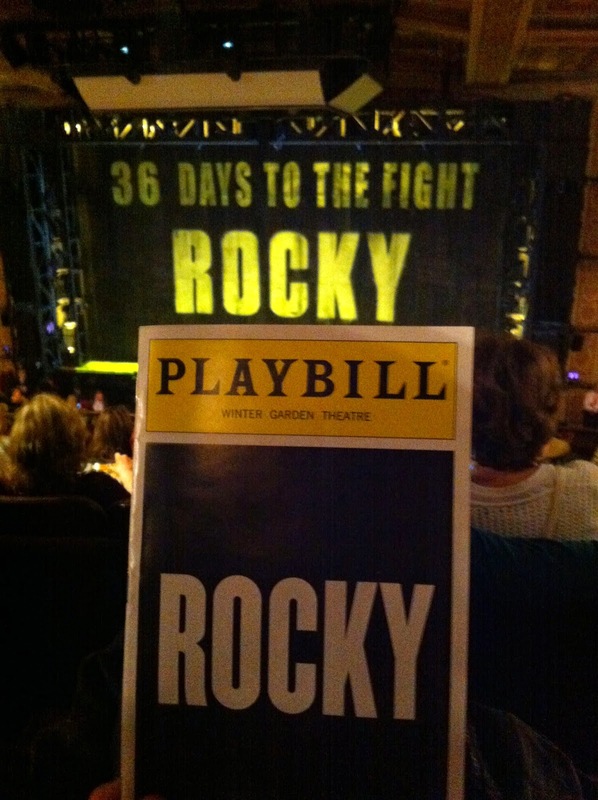 so they definitely DID do all the good parts from the movie, they sang "eye of the tiger" & "gonna fly now," rocky ran up the stairs triumphantly, punched the hanging meat at paulie's job, shouted "adrian!" after he goes the distance with apollo...all of it. all with great seventies outfits (i want apollo creed's fabulous wardrobe) & really quite nice music. 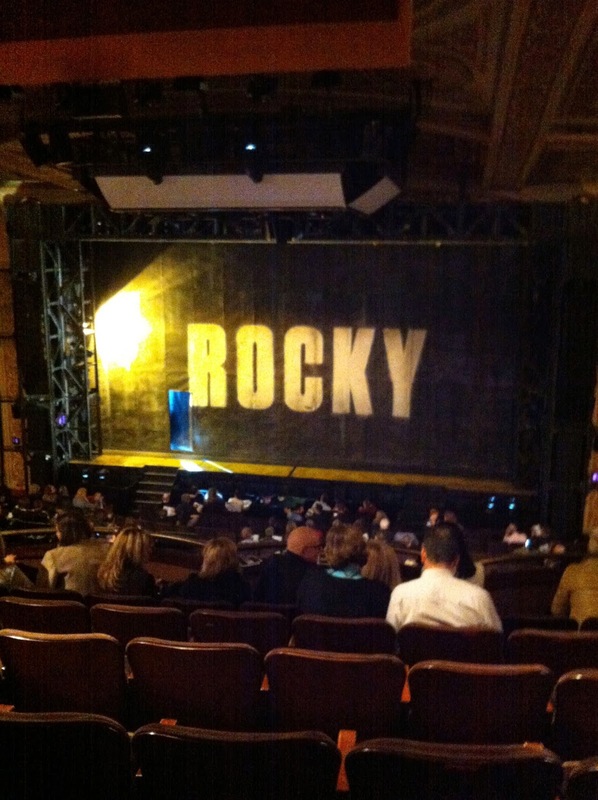 & they did the coolest thing for rocky's fight with apollo at the end. they had the first 20 rows of seats stand up & go watch up on the stage (you can see them in the bleachers there, under that big jumbotron) & then they pushed the ring out on top of those seats - so the fight was kind of out in the audience! we felt so close to the action. & they make it this whole big espn type thing, with live video & stats & announcers &...it was unlike anything else i've seen! 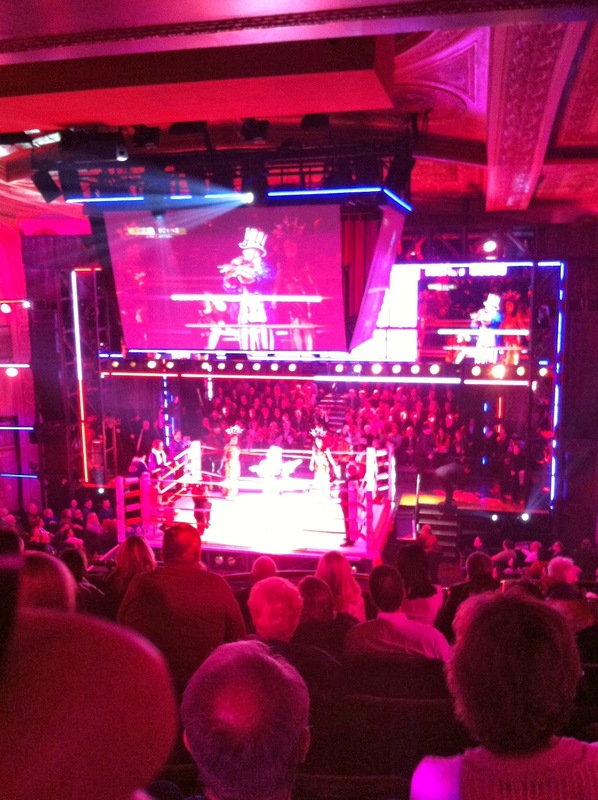 the audience got really into it, too, like it was a real fight. 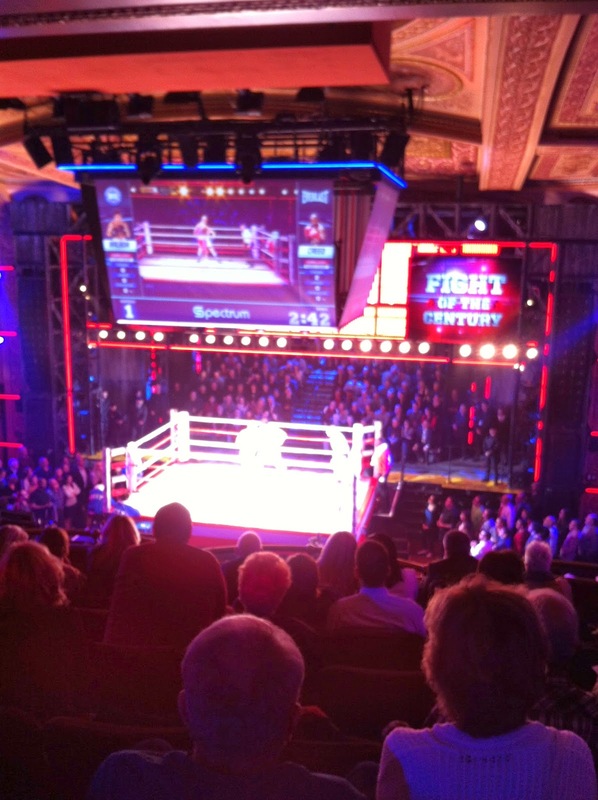 do you see the people in front of us, like, standing out of their seats & craning their necks to watch the fight? so funny. don't worry, we also totally did that - we actually stood up for a lot of it, because we were in the very last wall & there was only wall behind us. LOVE WINS, you guys, LOVE WINS. 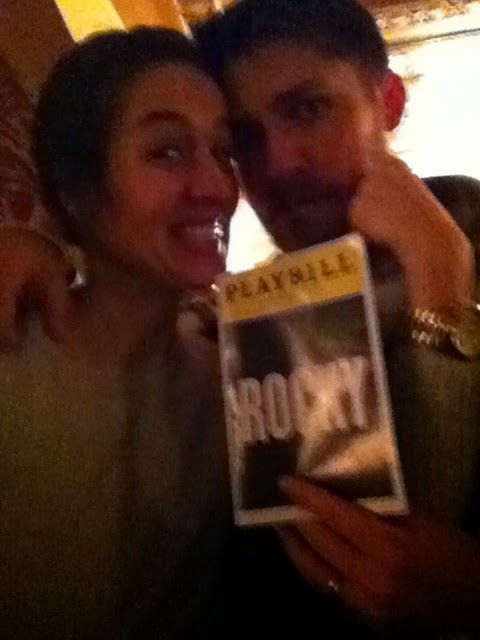 they also slipped these great bookmarks into our playbills, but then i went & lost mine. 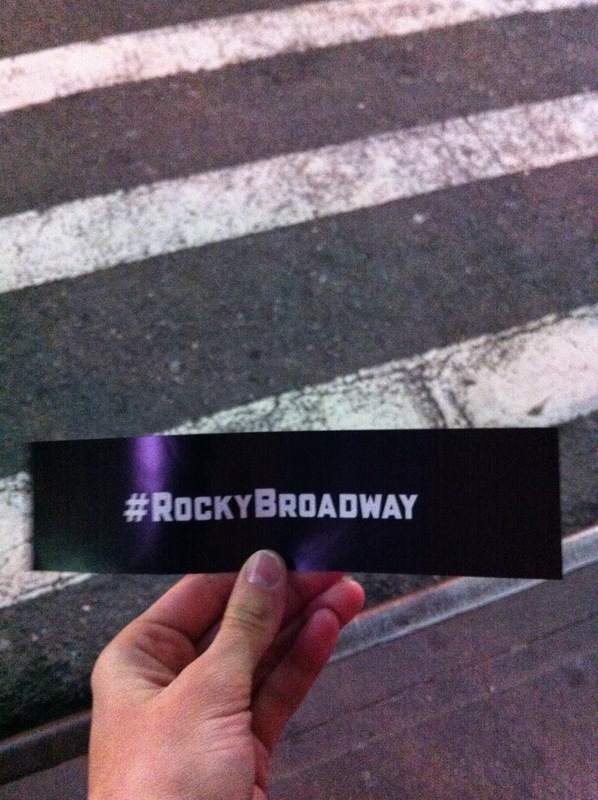 but hashtag rocky broadway! & he's watching us all with the eyyyyyyeeeeeee...of the tiger!